O.Øverland AS is a company situated in Molde on the west coast of Norway. For over 65 years we have delivered complete navigation and communication systems to all kind of vessels. The company was established in 1947, and since then we have equipped hundreds of different types of supplyship, wellboats, trawlers, thugboats and ferries. We deliver a wide range of nmea interfaces, nmea converters and serial line splitters. 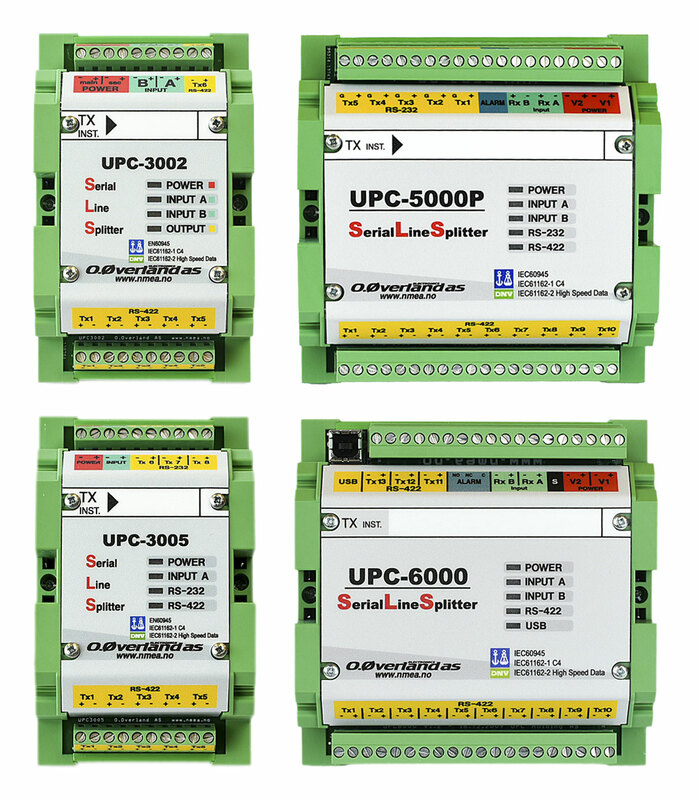 We deliver a wide range of UPC products. We have distributors of our products in Europe, Asia and the USA.